Correia de Guitarra RightOn Tweed Brown. Cor: Brown. 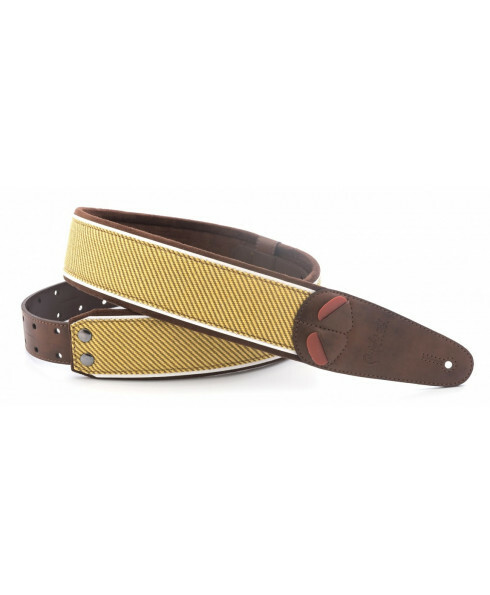 The Tweed Brown guitar strap is a guitar strap inspired by classic amp design. Mojo Amp Guitar Straps are fret cloth straps representing a new pinnacle in gathering inspiration from musicians and finding ways to meet their needs with functionality and cool new products. These straps are made in a Spain in the traditional way, taking care of every detail to get perfect straps that result in unique sensations. Comfort, attraction, functionality, durability - benefits that will amaze you.